You can now get Dagenham RM10 carpet cleaning services in all areas of and Dagenham at a really low price! Magic Carpet Cleaning is a reliable cleaning company with many years of hands-on experience. We offer upholstery cleaning, rug cleaning and stain removal services. We have the best trained and certified staff to provide you with friendly, fast and efficient service. If you need to clean a large old stain, just call Magic Carpet Cleaning – our stain removal techniques is second to none! We will clean your carpet by using only eco-friendly detergents. Customer satisfaction is what is most important to us, this is why we provide a 100% clean guarantee – basically our cleaners wont leave your house until satisfactory results are achieved! 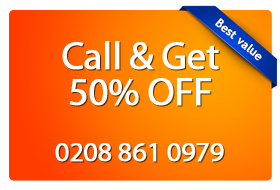 To book a service and find out more about our latest deals call 0208 861 0979 now or simply fill our booking form below. We are an environmentally friendly company and only use eco-friendly carpet cleaning products. Whatever cleaning you need done: rug cleaning, upholstery cleaning or carpet cleaning we are here for you. Get in touch today with Magic Carpet Cleaning Dagenham RM10! Just call on 0208 861 0979 any time of the day. Our customer support assistants are ready to help with all questions you have about our carpet cleaning services in Dagenham. You can use our on-line booking form as well.